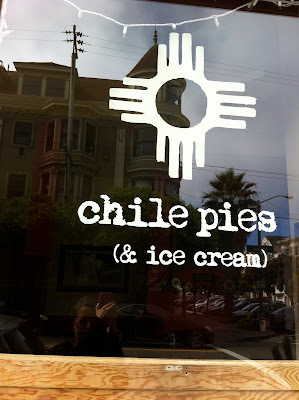 So my next stop on my quest for the perfect pie in San Francisco, was Chile Pies (& Ice Cream). I read mixed reviews about the service at this place from Yelp, but lucky for me I had the place all to myself when I stopped in for a mid-afternoon snack. I've been mainly trying seasonal fruit pies, because I like them. 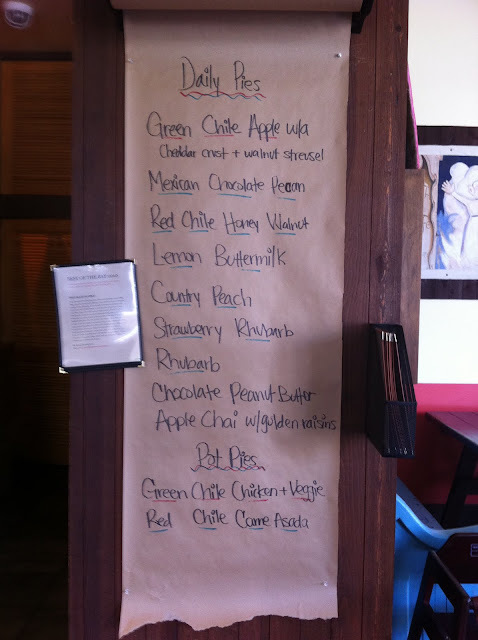 So I tried peach pie again, like at my last stop at Mission Pie. Except this experience was entirely different. To start, the atmosphere of this shop is adorable. Kind of country, kitschy, and cozy all at the same time. 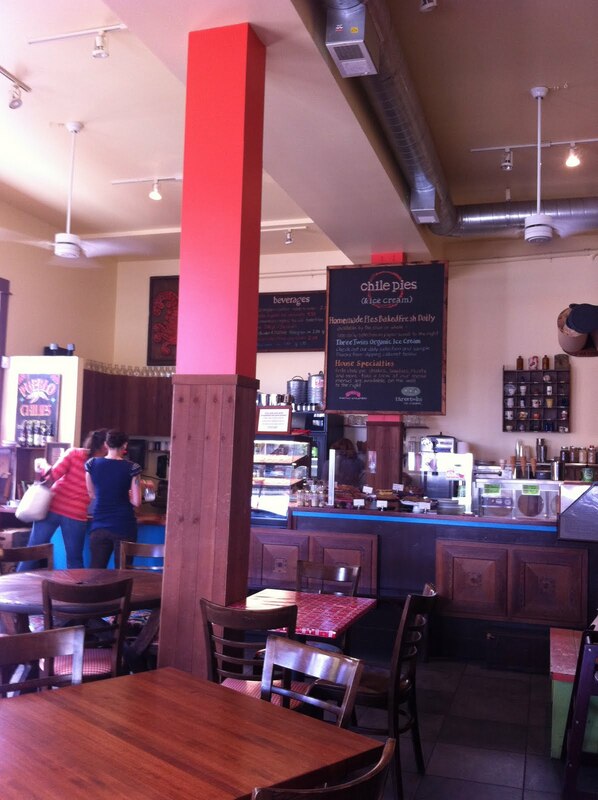 They had lots of seating and huge windows, great for people watching. 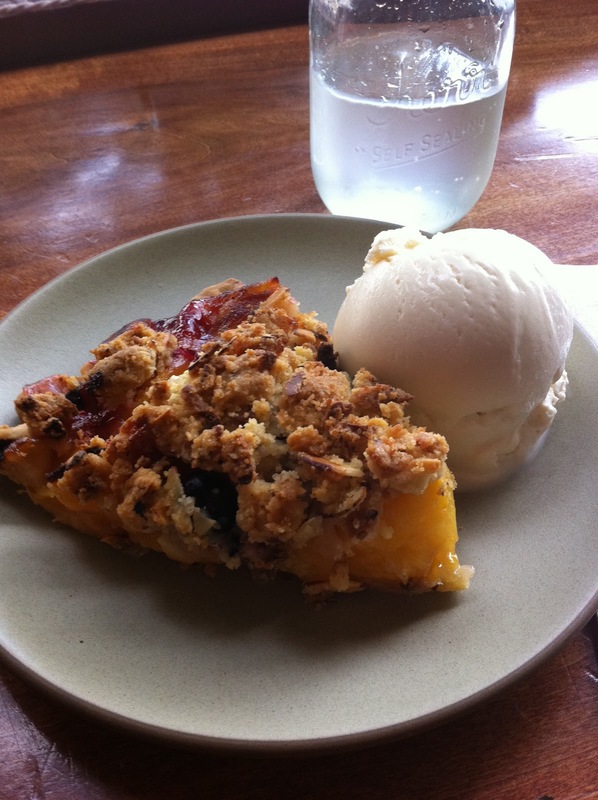 The crust of the pie was much better than Mission Pie's peach pie. This one had more of a crumble topping, which I'm not a huge fan of, but it went well with everything. I actually wanted a simple peach pie with a double crust, bottom and top, but they didn't have that. Instead, I ordered the only peach pie they had, country peach pie with blueberries and cream fraiche baked inside. I decided to go all out and order mine a la mode with madagascar vanilla from Three Twins Ice Cream. The ice cream was a perfect match with this pie. In fact, I don't think I would have enjoyed it as much sans the ice cream. 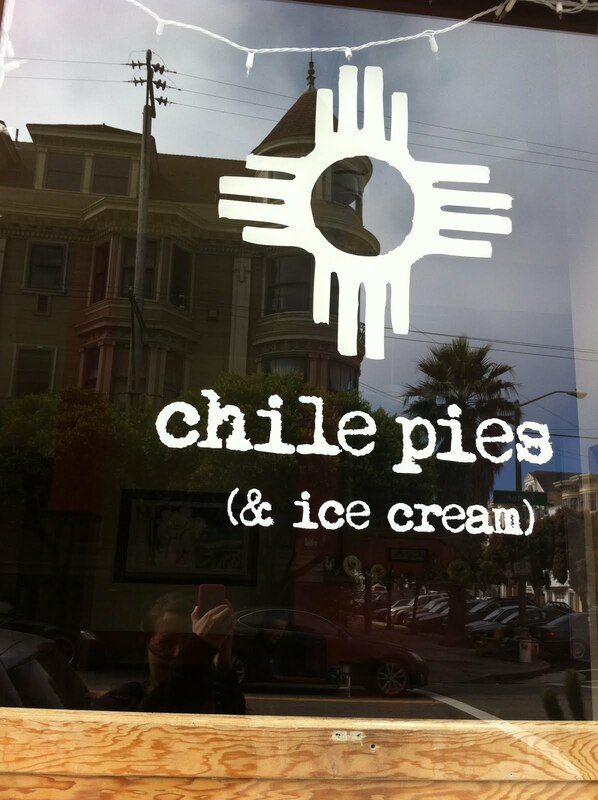 I will definitely head back to Chile Pies (& Ice Cream) to try their other pies. I'm looking forward to the fall season for the apple pies....love, LOVE apple pie!